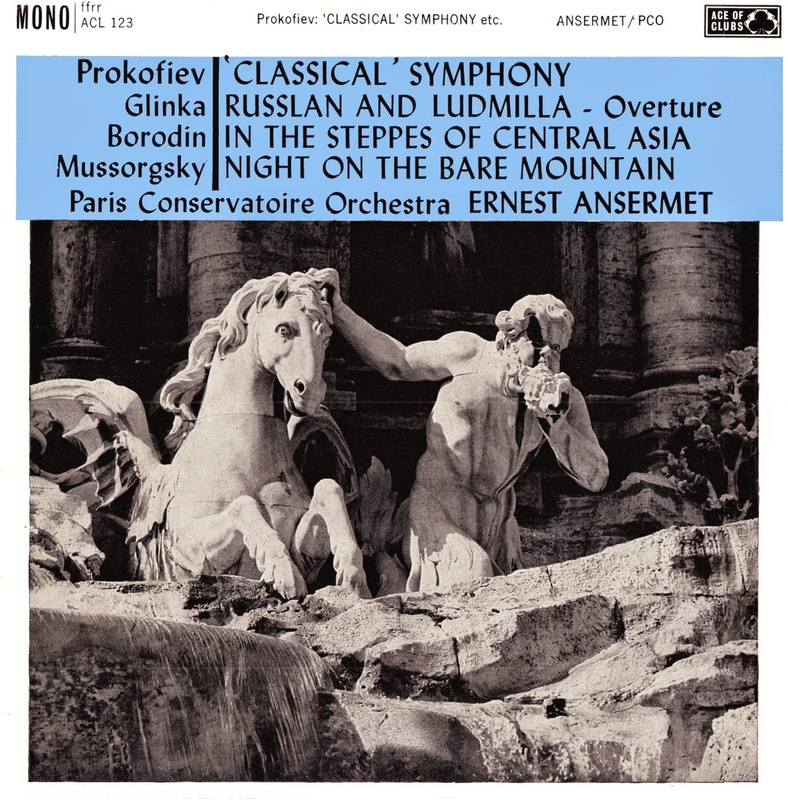 Alexander Borodin: "On the Steppes of Central Asia"
many thanks as ever. I confess to being completely selfish in downloading this: my own LP collection (which contains the ACL) is still inaccessible at present, so you have made this one available to me. Do you happen to know if the ACL was a straight repressing or was it re-edited? 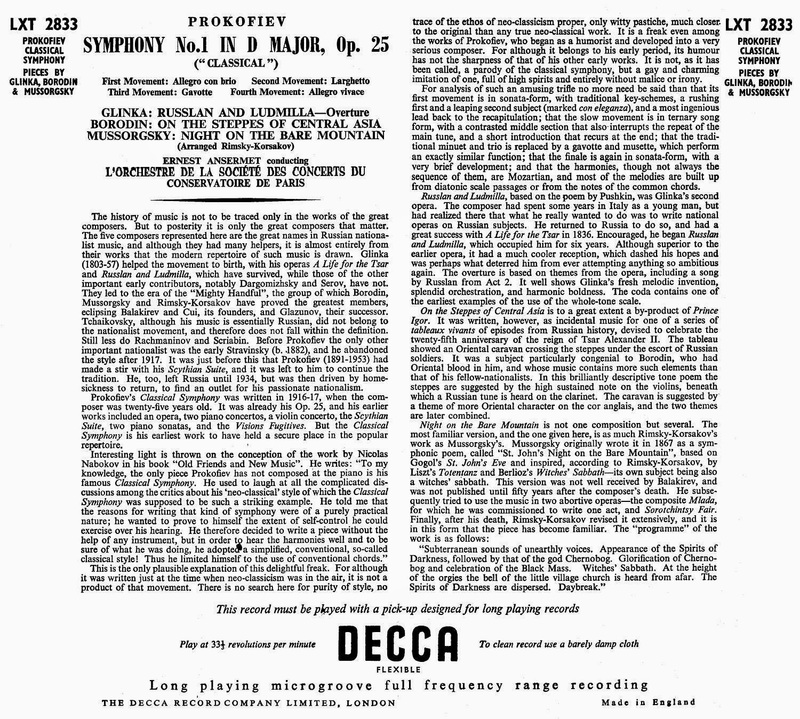 Nope: this was a re-cut done for the 1961 issue (I can tell, as it still has the off-centre run-out groove which Decca finally dispensed-with in 1961 for their mono's). Have the near-first pressing from 1953- which is 1B/4B - one of the numerous Decca Sonic Lemons I'd bought in 1986 (also have the Lindenberg Chabrier/Bizet in original/ACL issues) and which I'd no intention of trying to edit - and the original LXT of this is nowhere as good in any event -though it possibly had a recut previous to this ACL. 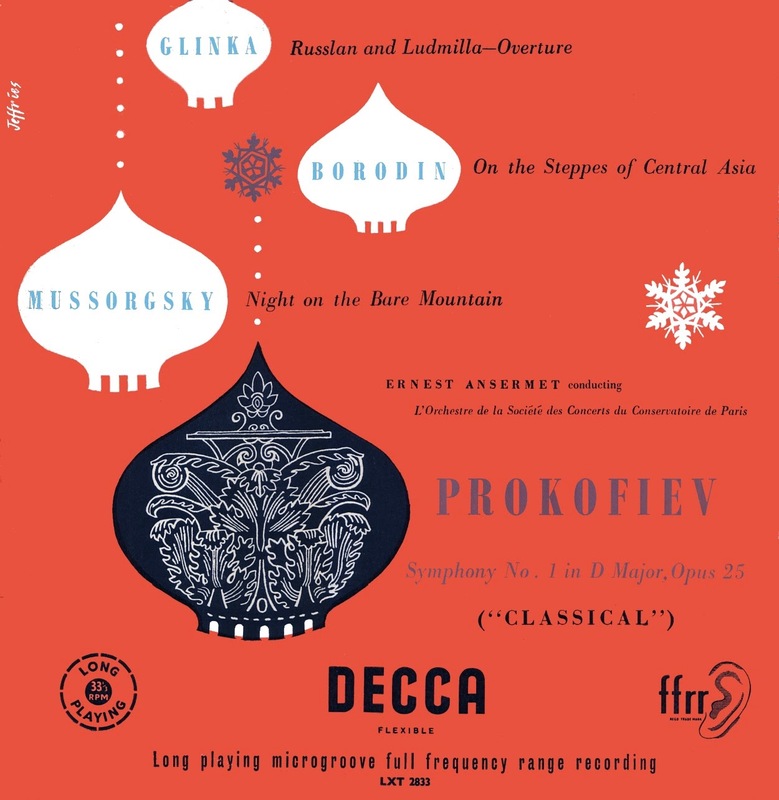 The Prokofiev is a bit 'pedantic' - also have the SXL of the Suisse version, etc....quite a nice LP. I have that Lindenberg ACL as well! I know little about him but see that there are quite a few CDs, including a Brahms cycle. Do I need another? On the evidence of the Chabrier he was rather pedestrian. My reference point in Chabrier is always Ansermet; only a dry former professor of mathematics could encourage the trombone raspberries in Espana. It must be akin to directing high comedy on stage - not playing for laughs makes it funnier. I digress, as usual. Even though uploads now get little response the next on here may be mono 1956/54 Szell/Cleveland Wagner/Dvorak.Piano C (Firkusny) - not on legit CD (unless someone cares to say they are - in which case I won't bother - even though they should be much easier to edit than this.).. Another 'Labor of Lurve' on my part: and there was I thinking it would be an easy transfer! Many US Columbia's (this is c.1976) didn't get UK-released - and don't recall this (though have Bernstein's NYPO Britten LP from that period) - which anyway is beyond what I make available (ie it's post-1963) - though obviously would prefer to transfer more recent vinyl than I usually do! Eventually I figured how to 'activate' the rear soundcard jack-socket (via the software control-panel) - instead of going through about a metre of internal ribbon-cable from the break-out box; so the reduced cabling should be a bit superior. As noted before..'perfection' can easily be achieved by slapping-on 'noise-reduction'..the baby then exiting via the bath-water. As you can also see, I likely daren't now engage in further prolonged editing-sessions - and doing itsy-bitsy Audacity 'project saves' would probably lead to few transfers being completed; thus wouldn't rate the chances of my continuing to be particularly high.....and would intend 'fully-recovering' beforehand. I'm sure other folks could engage in this lark..assuming that there's any real point in it.